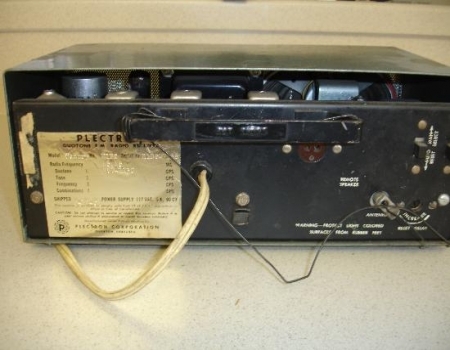 This Plectron is a specialized FM single channel emergency alerting radio receiver. It is used to activate emergency response personnel, and other disaster warning systems. 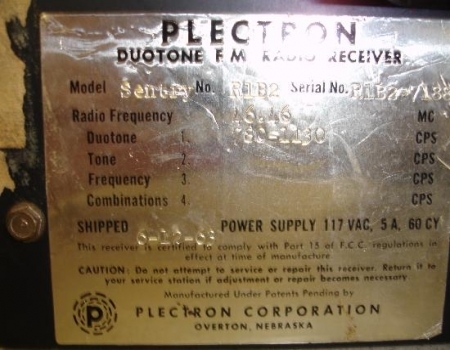 These radios were manufactured from the late 1950s, through the late 1990s by the Plectron Corporation in Overton Nebraska. Many hundreds of thousands of these radios were placed in homes of first responders across all of North America. This included ambulance crews, full-time and volunteer firefighters, off-duty specialized police response teams, Civil Defense members, and search and rescue teams. 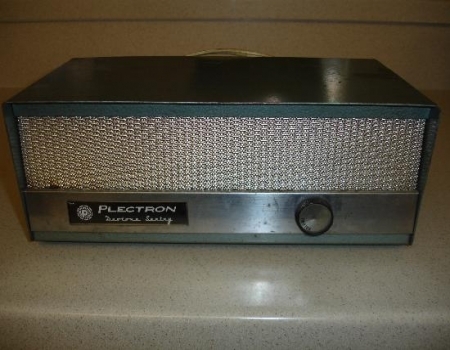 A Plectron's main feature (distinguishing it from a regular squelched radio) was its selective de-squelching. It would only sound when a correct pair of tones were broadcast allowing many agencies with different tones to share the same frequency. Very similar to a Continuous Tone-Coded Squelch System or CTCSS. The power source needs to be 117 volts AC at 60Hz and at least 5 amps. The Motorola MINITOR pager also used this function and have now largely replaced the Plectron. 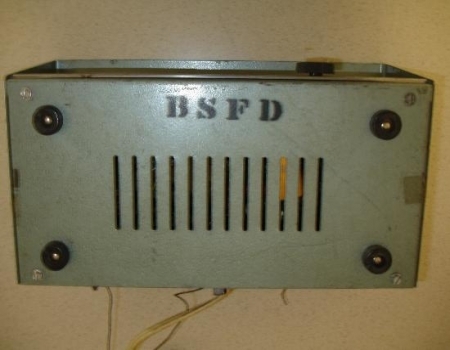 In the photograph on the left we see the bottom of this receiver which has the initials BSFD painted on it. The photograph on the right is a view looking down with the top cover removed. 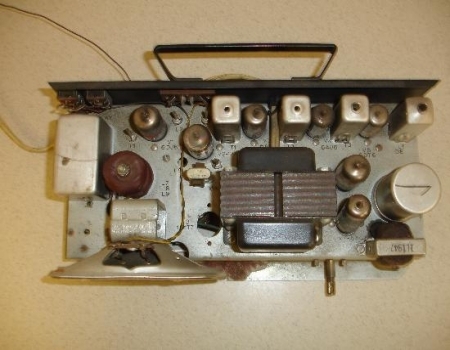 This receiver has no hinged top cover so to service it or replace the tubes it will need to be taken out of the case. The left photograph is a picture of the components that are found under the chassis. The picture on the right is a close up of the sticker found on the back panel. Here we can see the frequency that the receiver is set for as well as the tones that will cause it to break the squelch. As can be assumed by the name Duotone there are two tones that will cause this particular receiver to bark to life. One is 780Hz and the other is 1130Hz. 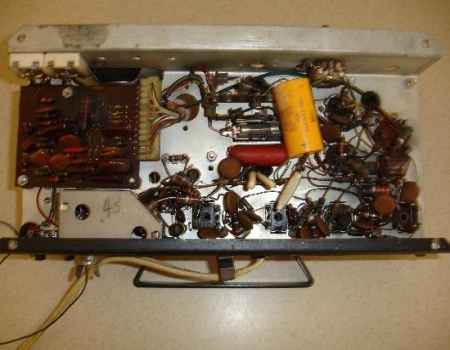 The primary frequency of this receiver is 46.46MHz.